Available live or cooked to order! between 10am & 6pm every day May to September. 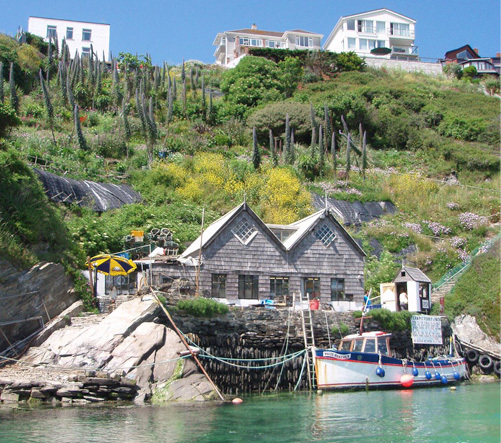 The Fern Pit Cafe & Ferry is based on the Gannel between Pentire Headland & Crantock beach. 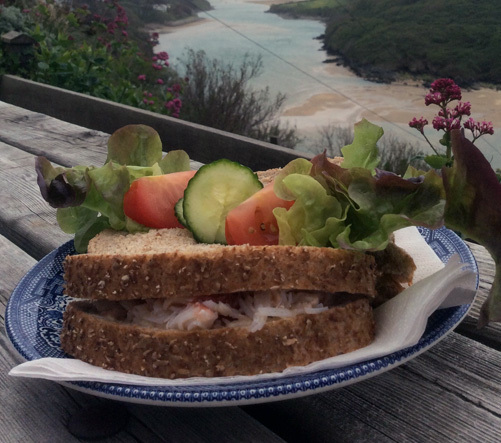 Established in 1910 the Fern Pit Cafe & Ferry is a family run business, on the bank of the River Gannel between East Pentire headland and Crantock Beach, on the edge of Newquay, Cornwall. The cafe’s beautiful terraced tea gardens, overlook Crantock Beach and the Gannel Estuary, which runs from the river mouth in Crantock Bay along the edge of Newquay. We are 1.5 miles from Newquay town centre, 2 miles from Newquay Harbour and just half a mile from Fistral Beach. crab sandwiches are a speciality. The ferry boathouse is down a path below the cafe and provides access between Newquay and Crantock beach between 10am and 6pm every day during the summer. When the tide is out there is a foot bridge which can be used free of charge. Once on Crantock Beach, there is an ice cream kiosk for drinks and snacks and Crantock Surf Hire offering the hire of surfboards, wetsuits, windbreaks, deckchairs, parasols, sunbeds and beach shoes. These are also operated by the Fern Pit. The Cafe is currently open from 9am – 4pm daily! The Ferry, low water bridge and footpath will open on 18th May!